The Future City Lab Reallabor Urban Office Project is concerned with the topic of Sustainable Urban Development in the Knowledge Society, which research is done in cooperation with the University of Heidelberg. Moreover, the Institute of Urban Planning and Design supports the associated project: House of Learning B³-Genesis of a Neighbourhood Centre that focuses on schools as living spaces, as these pose great potential in the achievement of social sustainability within their neighborhoods. The project is funded by the Baden-Württemberg Ministry of Science, Research and the Arts (MWK) within the frame of “Realworld Laboratories”. 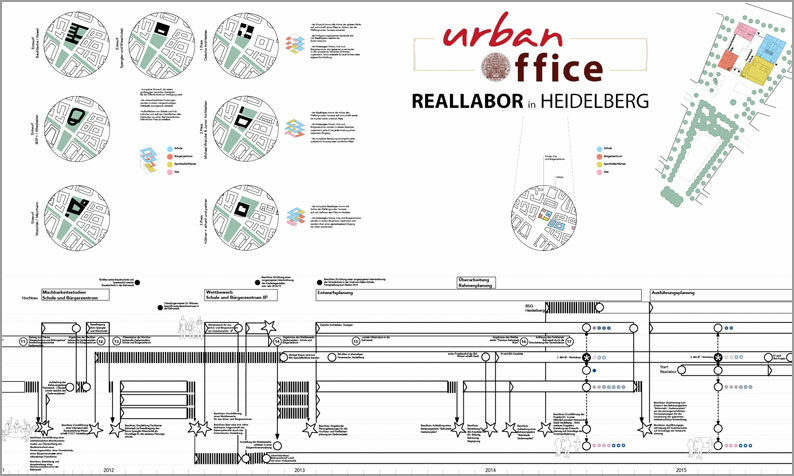 For more information please visit: http://www.geog.uni-heidelberg.de/hca/urbanoffice.html.